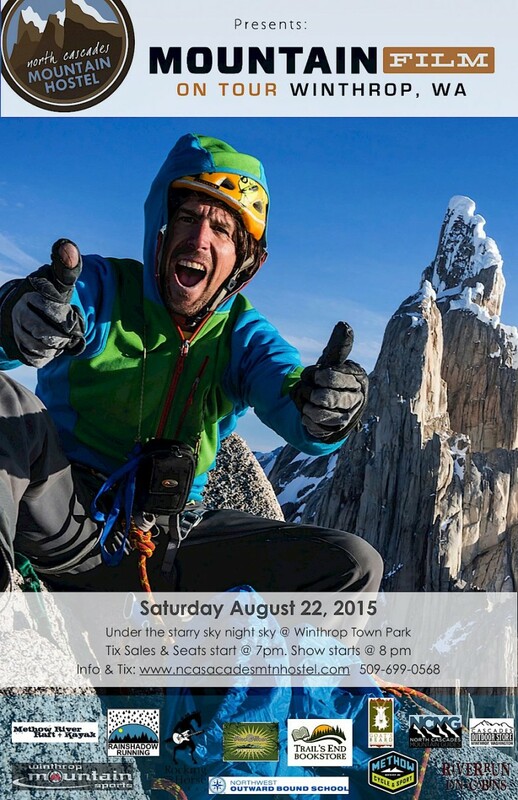 The North Cascades Mountain Hostel presents the MountainFilm Tour on Saturday, September 26. The event will take place under the starry skies at the park in Winthrop. Seating and Ticket Sales open at 6pm and can be purchased online and the show starts at 7pm. Bring your dinner, beverages, blankets and chairs. Tickets available online and at the door. For more information and tickets contact the hostel at 509.699.0568.